It is just less than a week before we celebrate the most joyous, highly-anticipated time of the year, yep----Christmas! Now the question is, are your gifts ready? 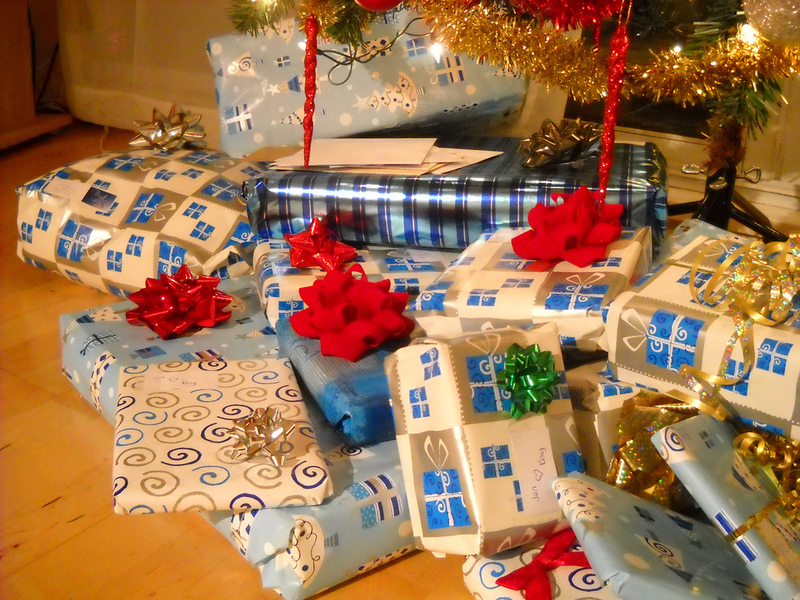 If you are tied with an avalanche of workload not just because of the holiday including year-end chores and errands that you have to do and you are thinking of performing last-minute frantic shopping, then here are 5 practical tips that you should remember before buying unnecessary gifts, or gifts that won’t be used by your recipient in the end. Home decors, scented candles, picture frames, toiletries, kitchenware among others are great, but if you know that the one whom you will give the gift has a lot of them, then save yourself from adding it to the collection which eventually will accumulate dust. On the other hand, expensive gifts like chunky, sterling jewelries, perfumes, and watches can be terrific gifts knowing the sentimentality attached to it but are they really of practical use or you just want to impress them with the cost of your gifts? But do the recipients care? Often, no. "Gift receivers would be happier if givers gave them exactly what they requested rather than attempting to be 'thoughtful and considerate' by buying gifts they did not explicitly request” to surprise them, the researchers write. When you buy gifts, try to fight the urge of buying expensive gifts just to impress. Aside from the fact that you are saving yourself from spending into something that will not really be that useful to the recipient, you are sparing them from those items that they have to hide in their closets (which will remain unused for years) what’s worse, sometimes they want to get rid of it but they can’t because it came from you. Instead, buy gifts that are affordable, practical, and something that can be of much use to your loved ones regularly. In the first place, you are giving it to someone; which means, your loved one is the one who will use it, NOT YOU; so be considerate enough to think of gift items that he or she really needs - not because you like the item for them. In short, choose utility over desirability. You might think this is absurd, but really? Even if we are talking about gifts for your mother, sister, a friend, or even your spouse, which you’ve known all your life, the key here is to be sensitive enough to know their passions, likes, desires and wants. It directly addresses the fact of how well you know the person to the point that you can tell in a snap what he or she wants for Christmas. It has been my mistake too, for years now, buying gifts for my siblings which I thought they would like… so I invest buying them expensive gifts only to see these gifts months after the yuletide season, just sprawling everywhere. I was hurt to see the gifts being ignored and not given much importance that I had expected, but eventually I soon realized that, just like the first pointer, we often buy gifts because we like our loved ones to have that item---but in the end, did you ever ask yourself if that is what he or she really needs? Remember, many of what we give as gifts are THINGS. If they're not useful, practical, or convenient; then what exactly makes them a great gift? Else, they will just be mere things to the one who will receive it. Be sensitive and considerate instead. You can try to research what our loved ones are secretly wishing to receive this Christmas. Some are vocal by directly expressing what their Christmas wish list is; some subtly will post it in their social networking sites like: they like to receive a certain book, want to attend a certain concert, or would like to have this certain thing. Watch out for those clues. If you are not so sure of what to give, why not give a gift check or gift certificate? If your brother or sister is into bands or movies, you can also give movie tickets, and even concert tickets. If your sister-in-law is so much into pampering herself, buy her a gift certificate from Ensogo or Metrodeal which offers a wide choice of salons in the Metro that provide amazing pampering and beauty services with great discounts. If you want to try something new instead of buying your mother an expensive jewelry or yet another blouse, give her a bag of grocery items. It not only saves you from hours of scouting in the malls and other known Christmas bazaars, but in a way helps you immensely to make them happy by giving out what they really like to do or what to receive the most. In the first place, the best gifts often are the things that are simple, straight-forward and practical items. Don’t get me wrong, being sentimental is okay. Indeed, it is appreciated. But what I want to highlight is the importance of looking for gifts that can be utilized and used all the time. Most of the time, items that can be consumed are highly-recommended to be given than those that will be kept and hidden for a long time. Either you are in a team, working in a company, a bunch of friends, or among your family members, having a wish list to be circulated in different forms (like manually, email, text, or even privately sending it to the different social networking) is an effective way of knowing what to give to that specific person or loved ones that you would like to give your Christmas presents. By indicating at least 3 items that a person wishes to receive, it spares you from overtly deciding what to give and to avoid mistakes in choosing the wrong item. Some may say it is a cheat sheet, but I say, it is a practical way of knowing what your loved ones want the most to make them happy and granting them their wish rather than wild guessing. Be realistic! This is a fantastic way of agreeing as a group on what to give and how much will be the price range so each and every one already has expectations of what to receive which heightens the excitement. In our family, we decided last year to give something blue. This year, it will be something funny. I am sure it will be a fun way of making things easier for you especially if you have limited time to shop due to errands and work to do. Be resourceful! In the end, it is not really the expensive gifts that matters the most, it is about the effort and the thought itself. It is the heart of the giver. Do not forget that the real spirit of Christmas is not how lavish and expensive your gifts are, not just the intention of making someone very special by your presents; but most importantly, the real essence of Christmas is about celebrating the birth of Jesus, the son of God (who owns a kingdom up above) but choose to come to this world, gave up His throne, humbled Himself and was born in a cold manger and eventually became the ultimate sacrifice for our sins and for us to be redeemed. So share the love, be thankful, lavish yourself with the pure spirit of the Yuletide season and have a less expensive yet more meaningful Christmas. Have a blessed holiday!